We always expect something to go wrong on our first visit of the year, what exactly it is, is always a mystery. Needless to say it may incorporate “the first leaks of the year” from our radiators or may not. Anyway we arrived all set to check everything and then to start the cleaning process. I do not have a case of severe O.C.D (honestly) but enough to want to clean on a daily basis. Three or four hours cleaning per day is the norm for me, a house that has been left all winter is extremely dusty and I am all set to clean from top to bottom, when Paul shouts “there is no water”. Unknown to us this was only the start. If you remember we had appliances installed over the winter months, they look really good and the plumber had completed additional work such as trunking cables into the wall and plastering, with no extra charge, excellent. Unfortunately when Paul tried out our new gas cooker, there was no gas. Having a small panic, I had this vision of booking a hotel while we find out why we had nothing, well nearly nothing the electric worked. However, we were tired, hungry and needed time to think what our next move should be. So lunch first and then the plan. 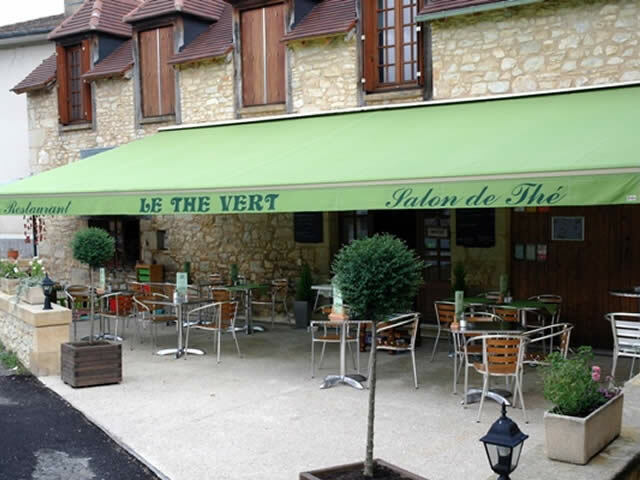 Le The Vert is an excellent place to go for lunch, you always get a warm welcome and excellent food to eat. You will find them just before the bridge in Daglan. They are open everyday except Wednesday and have light meals or a special set menu. We opted for the set menu, three courses for only about 14 euro each, excellent value. We both ordered soup, salad, and a delicious meringue dessert. While we were eating we explained our predicament to the owner, who told us that if the water was still off when we returned to our house we could go back to the restaurant for a shower. I could not thank her enough. Having eaten our meal, and drank a lot of Yorkshire tea, we felt ready to return to our problems. On our return, and having read the instructions for the operating sequence of the various gas valves we were able to turn on the gas, excellent. Now the water. Along side of our house is a small alleyway, from the alleyway we could now see and hear men who belonged to the water board, Sodego. A little nosy investigation and we discovered there had been a burst pipe that morning, a small flood had occurred and the water board was informed, they arrived on the same day to fix the leak with new pipes an excellent quick service. They informed my husband that the water would be back on in a few minutes. And it was, the work was checked and ten minutes later the water was back. Awesome, now to the cleaning. 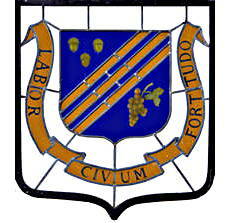 A very big thank you from Paul and I for an excellent service, food and comfort, not forgetting the offer of a shower. 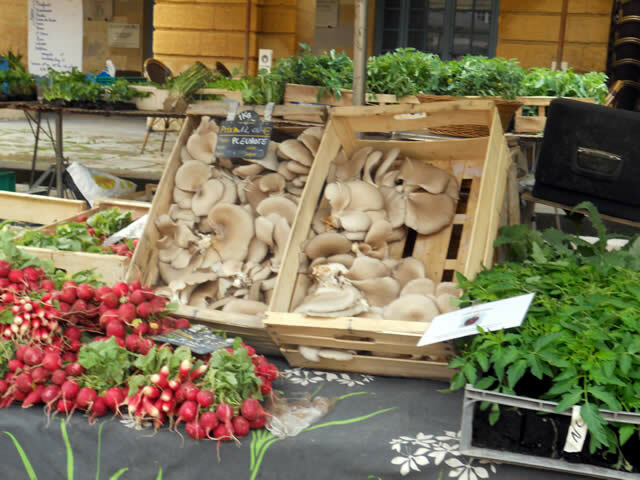 Sarlat and the magic of mushrooms. 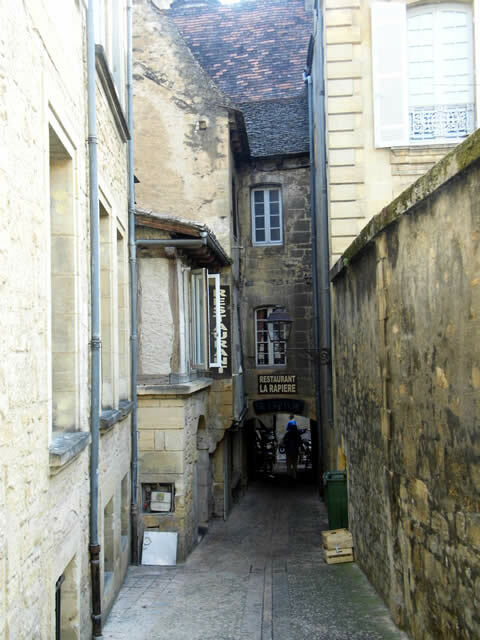 I thought that we would start our first blog on our return to Blackpool looking at Sarlat once more before our next blog which will cover “the first leaks” of the year, something nice before something that was unpleasant. 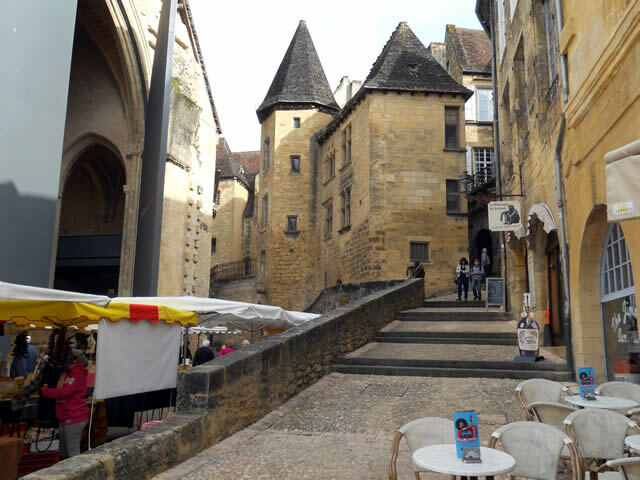 We always enjoy visiting Sarlat, a town where I half-expect to walk into a film crew making another version of The Musketeers. The set designers might need to alter a few shop fronts and remove the chairs from a few café terraces, but otherwise they would not have to change a thing. The town as been preserved as if in aspic since the 16th century, a glorious jumble of medieval houses and narrow alleyways, dark tunnels and grand Renaissance town houses, all built around a monastery and an abbey that dated back to Charlemagne’s time. 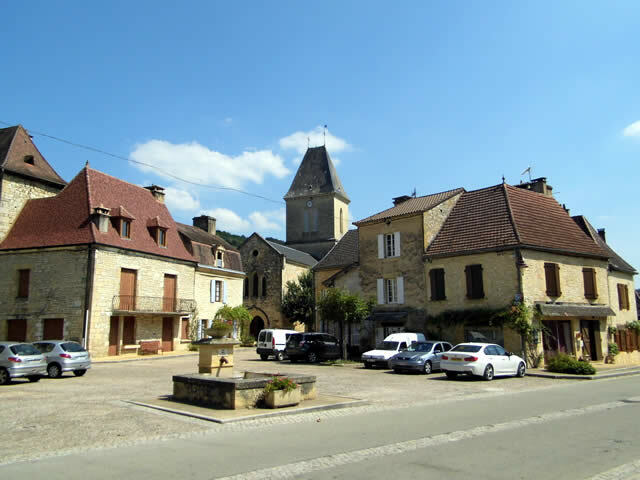 Now the capital of the Perigord Noir and one of the most visited towns in France. We never tire of wandering its cobbled streets whether it is market day or not it is such a delight every time. The sun was just breaking over these ancient buildings while we drank our cup of morning coffee. Look at the size of these mushrooms, awesome. We thought that they were just for display purposes, but no, they were to buy. What an omelette they would make! If anyone is in the Perigord Noir check out the Brocantes this weekend at Daglan and St Pompon, they are always worth a visit. I had better explain the above, every time we go to France for our first working holiday of the year we experience radiator leaks. Our first was the most dramatic with Lake Garda in the bedroom and last year we had leaks from three of the downstairs radiators, not serious and easily fixable. 1 Leave home in the middle of the night for a very early flight, find the airport, then where to park, the usual check in hassles then the long wait for that first flight of the day. With only a few hours sleep this is quite difficult. 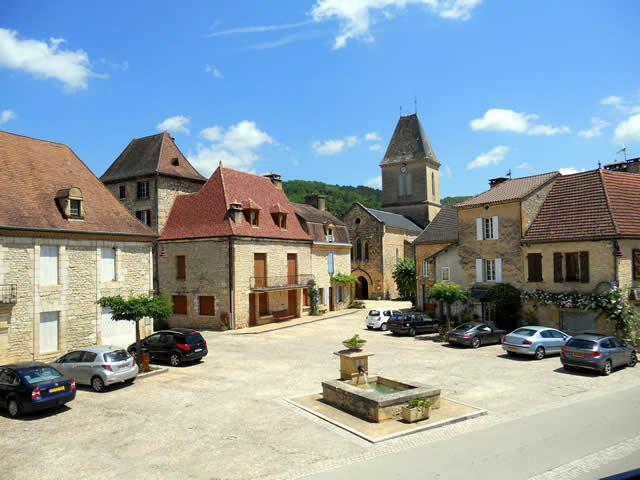 2 Arrive in Bergerac, tired, find the rental car firm then find the rental car and find the way out of the airport – it always reminds me of the film ‘A Good Year’, where Russel Crow drives around and around in ever decreasing circles to find the exit of the airport car park. 3 Find a supermarket and shop quickly; it will close at 12’oclock. We have seen people having to leave their shopping and walk out of a supermarket at 12’oclock. 4 Check out the first leaks of the season, mop in hand ready for the deluge of water. 6 Have lunch, then clean several months of dust, make up the beds and fall onto them warn out. 7 Measure the interior of the property, so that Adam can create his 3D magic. He will model the interior so we can plan how the furniture will fit. 9 Paint all of the downstairs, this will take about three or four days. 10 Work on the kitchen, shelves, cupboards, worktops etc. 12 Go to the local markets, always a must. 13 Pick up my sister from the airport, her first visit. 14 Visit the local tourist sites, restaurants and of course more markets. 15 A little early in the season for Brocantes, but I am hopeful. 16 Another pre dawn trip to the airport, arrive back in England and sleep for a week. Our gorgeous village of Daglan, just to get us in the mood for our visit. 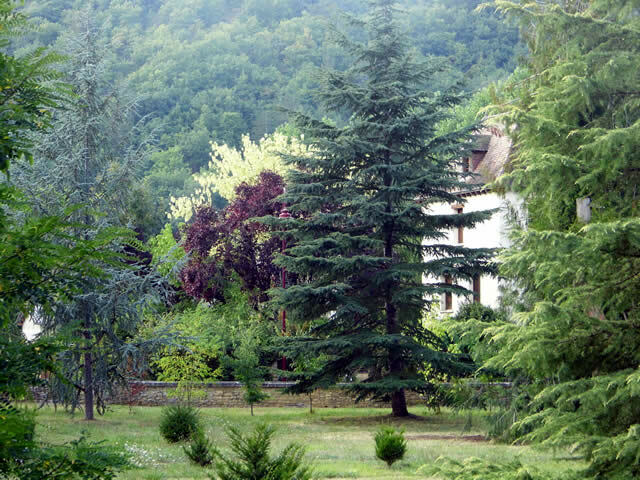 This is a small part of the large park at the back of my favourite Chateau in Daglan. You can just see the forest that surrounds the village in the background. 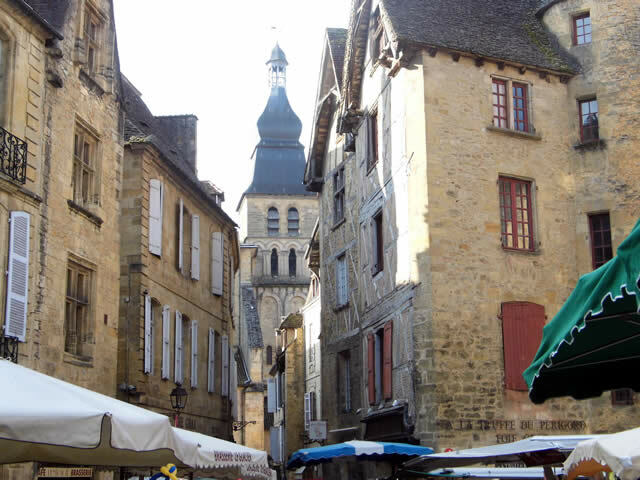 Sarlat – this picture always reminds me of Christmas Carol:-“up a lane, where it has so little business to be. That one could scarcely help fancy it must have run there when it was a young house, playing hide and seek with other houses, and had forgotten the way out again”. 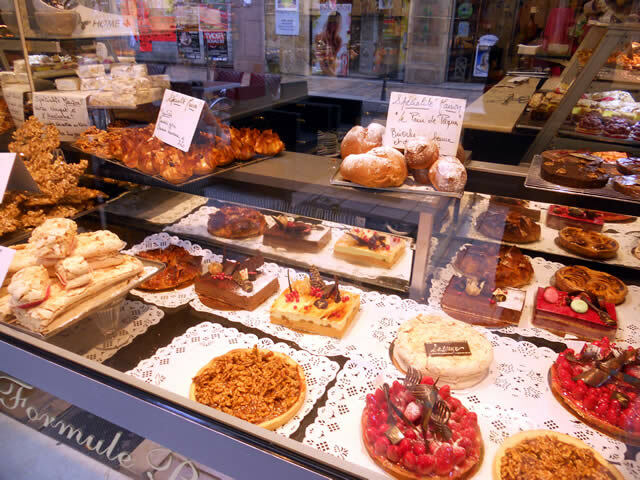 Sarlat – we shall be sitting at a local café next week sipping our morning coffee before we go and buy the fresh produce for dinner.